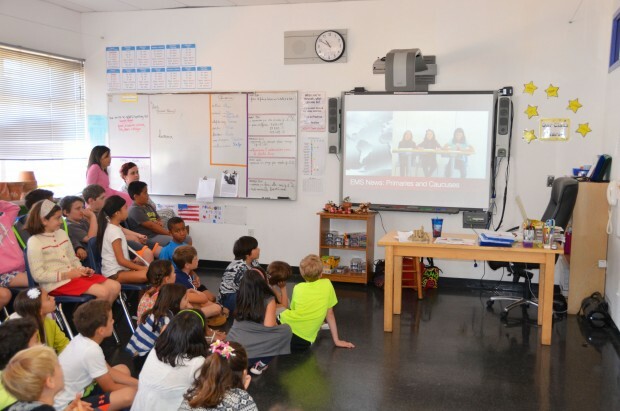 Each week, students in fourth grade are responsible for teaching their classmates about one current event relevant to their lives and the world around them. 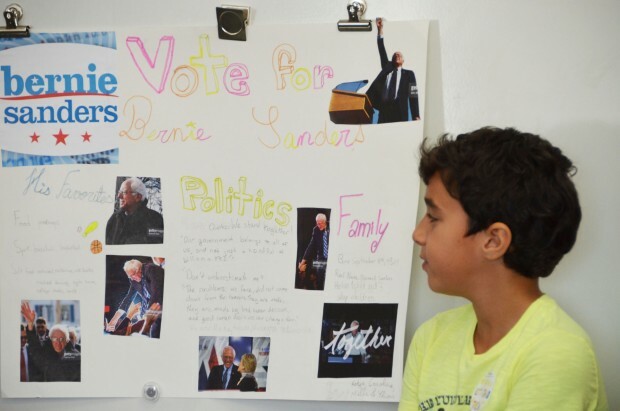 A few months ago, one fourth grade student taught the class about Super Tuesday, a turning point for this year’s primary election. Many articles interest the students and provoke interesting conversations, but this specific World News caused every student in the room to raise their hand to share their opinions and questions. 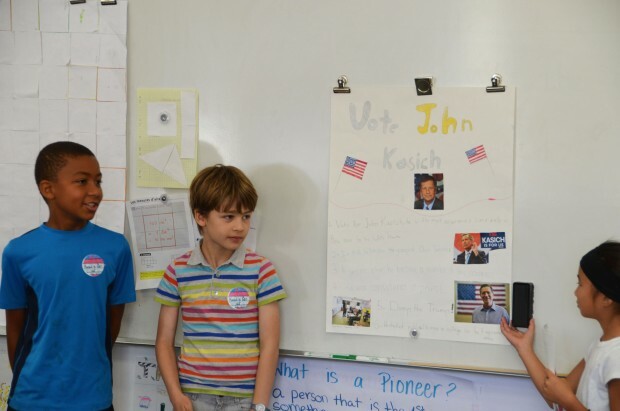 This interest fueled an ongoing conversation in fourth grade to further understand and unpack what they have learned from their parents and the media about the primary election candidates. The 5th graders put together videos explaining the electoral process. The students were shocked to hear that only ⅓ of eligible voters actually vote and decided that we needed to choose our own ISTP presidential candidate! To learn more about each of the presidential hopefuls, the students were split into five groups, with each group acting as campaign managers for their candidate. One of the challenging parts of this assignment was for each of the children to be impartial managers and create a strong and persuasive campaign for their politician, regardless of their like/dislike for him/her. Then each student had to prepare materials including buttons, posters, and advertisements to get other students to vote for their politician as the ISTP presidential candidate. Students prepared campaign materials such as posters, buttons, and advertisements. Meanwhile, in fifth grade, the students were also having weekly discussions about the primary elections while learning all about the three branches of government and the election process. 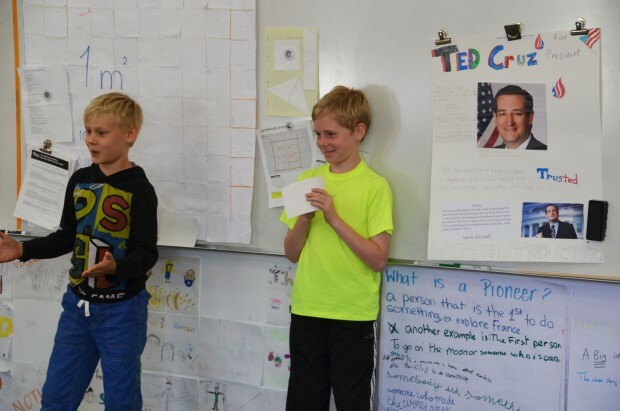 The fifth graders were as curious about the elections as the fourth graders, and each week they were thrilled to discuss the weekly update on the elections. It is particularly meaningful for them since they have been learning so much about how the U.S. Government works, including the responsibilities of the Three Branches of Government and the system of checks and balances. Thanks to the great interest in both fourth and fifth grade, Ms. Rebecka and Ms. Erin decided to do a collaborative project between the two grades. The students spent weeks preparing to present to the other grade. The fourth graders worked as campaign managers, learning all they could about their candidate, and the fifth graders worked in small groups to create iMovies to explain the Three Branches of Government, Political Parties, the election process (including primaries and caucuses as well as the Electoral College), and the requirements to become President of the United States. After all of their hard work, the fourth and fifth graders met to present their work to one of the other classes. This collaborative project culminated in a Mock Primary Election. Before voting, we discussed how this wasn’t exactly like a really primary election because all five candidates were on our ballot, whether Democrat or Republican. In addition, we talked about how voting is both a privilege and a responsibility. Finally, all of the fourth and fifth graders voted. Bernie Sanders was the winner of our Mock Primary with 44% of the vote, and Hillary Clinton was close behind with 37%. It was evident that the students enjoyed working on this project, and their effort was apparent in their presentations. Hopefully, the memory of this project will encourage them to be active and informed voters in the future.